Although the campaign trail for this June’s provincial election isn’t officially underway, Premier Kathleen Wynne was in Durham Region rallying the local troops on March 15. 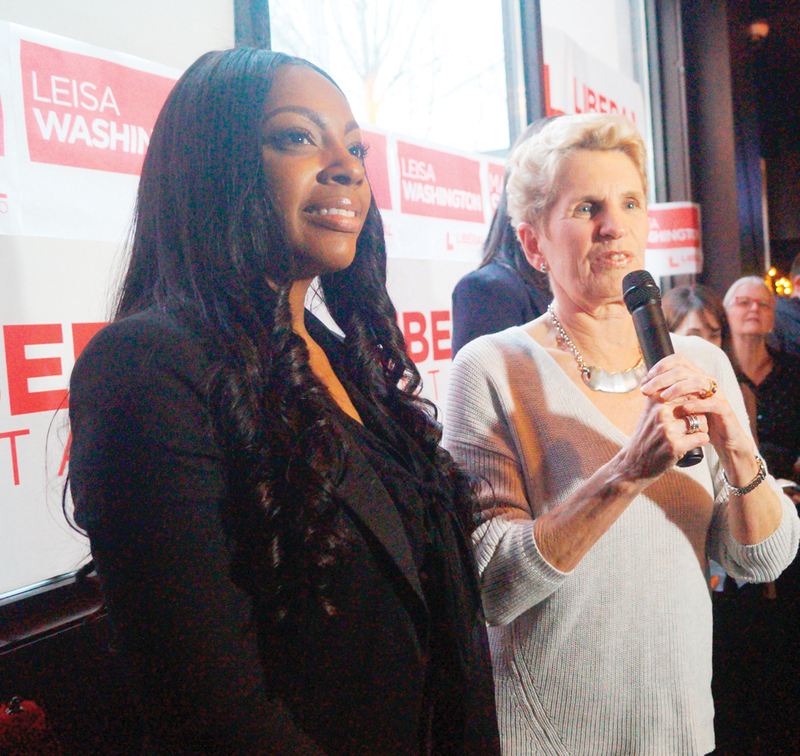 Wynne appeared in support of Oshawa candidate Makini Smith and Whitby candidate Leisa Washington at a meet and greet event. Upon arriving at The Tap and Tankard restaurant, Ontario’s first female leader was mobbed by party supporters. She commended Smith and Washington for stepping into the realm of provincial politics. Wynne said her government has taken steps to help Ontarians including increasing minimum wage, providing free prescription drugs to residents under 25 years of age and cost-free tuition for low-to-middle income residents. For her, there is still much more for her party to achieve. Smith, a first time candidate, told The Oshawa Express her biggest priority will be to engage the residents of the city. Smith says she will focus in on downtown and south Oshawa, an area she’d like to make a difference in. To achieve this, Smith says it all goes back to engaging with residents, and recognizing different neighbourhoods have specific needs. The increase of opioid-related deaths and human trafficking are issues Smith believes need to be addressed immediately, and it will take more than just financial resources. “You can throw money at a situation, and even if it changes it temporarily, it’s not going to change it long term,” she says, adding there needs to be a focus on the ‘personal development’ of those who have been affected. Although recent polls indicate that Wynne’s popularity and approval ratings are low, Smith says the election is not just about the Premier. In the upcoming provincial election, set for June 7, Smith will be going up against incumbent NDP candidate Jennifer French, and regional and city councillor Bob Chapman who is running as the Progressive Conservative candidate. The Green Party of Ontario have yet to declare a candidate for the Oshawa riding.